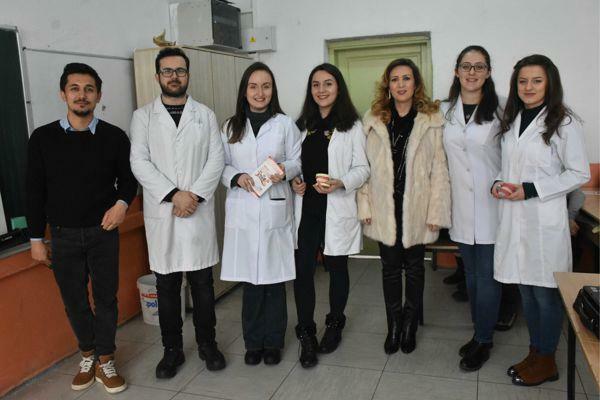 After the marking of March 20th World Oral Health Day, students of Dentistry from the Faculty of Medical Sciences, in cooperation with the Student Parliament and the scientific group of this faculty, started the awareness campaign for the maintenance of oral health. 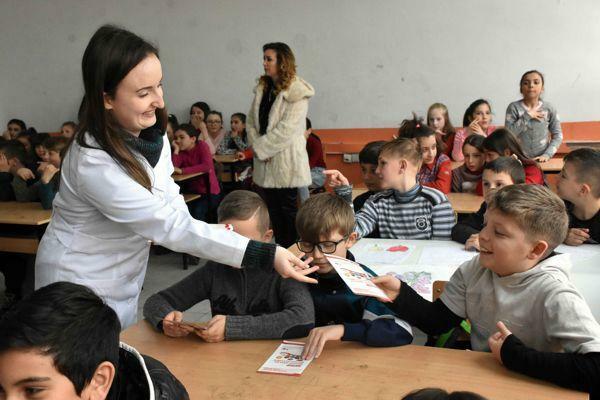 Students held meetings with fourth and fifth grade pupils in three elementary schools: “Istikball” and “Cyril and Methodius” in Tetovo as well as the “Samedin Bajrami” elementary school in village Kamjan, Municipality of Bogovinje. 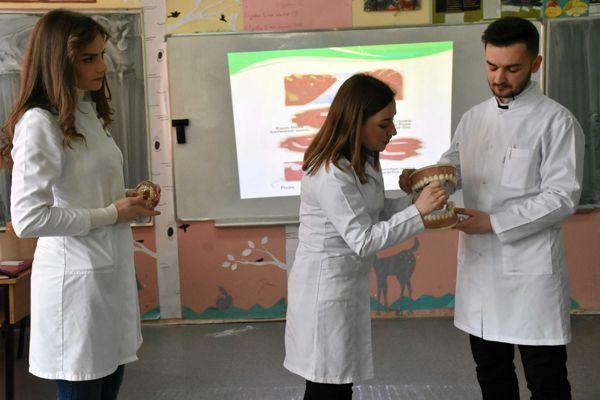 Students in front of the pupils demonstrated how they brush their teeth and informed them about the foods they should and shouldn’t take. Pupils had the opportunity to ask students several questions about the work of the dentist and teeth diseases. Coordinator of this project, Doc. 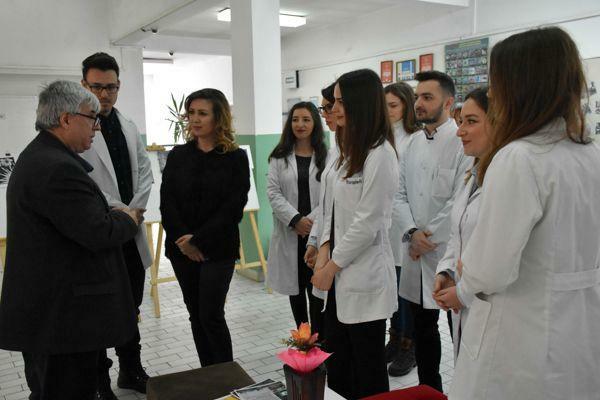 Dr. Arberesha Bexheti-Ferati said that the purpose of this campaign is to inform the pupils how much oral health affects the overall human health. 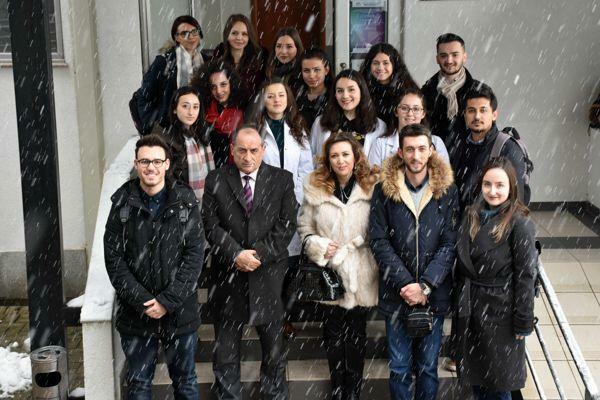 The awareness campaign of dentistry students was welcomed by the school principals. 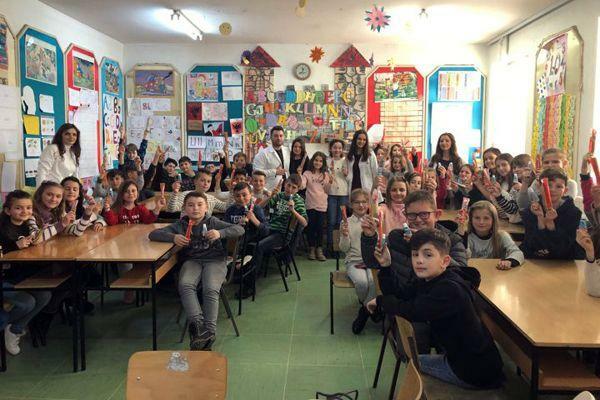 The principal of “Cyril and Methodius” Elementary School, Setki Ismaili, thanked the students for this initiative, adding that the school he leads is always ready to cooperate with students in these activities, that aim to raise the awareness of students on different occurrences. 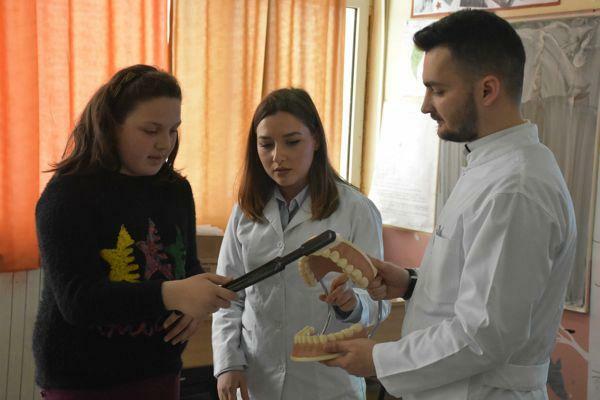 While the principal of “Istikball” Elementary School, Rexhep Halili said that this campaign is in the interest of all pupils because tooth decay is the most sensitive disease and that most of them are afraid to visit the dentist. 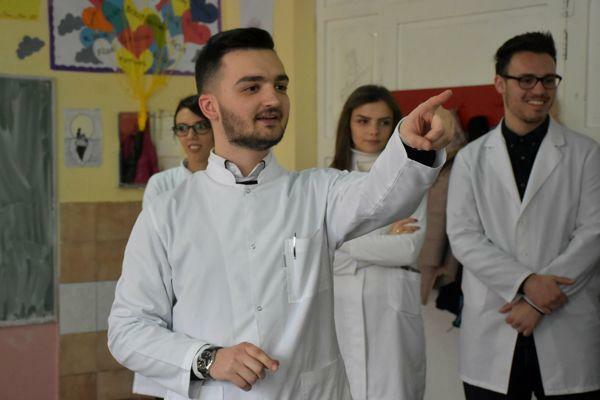 According to him, through these campaigns, students will find it easier to understand how important the dentist’s checkup and oral health care is. 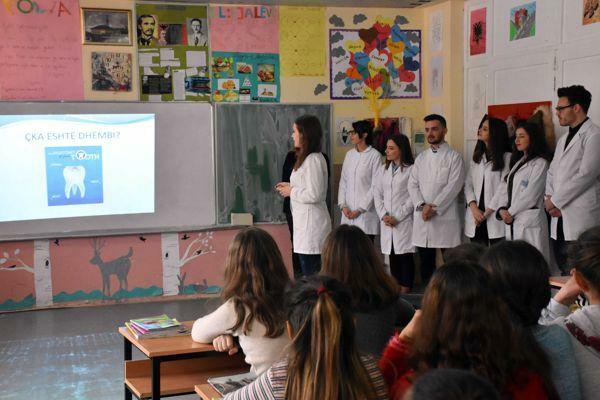 The principal of “Samedin Bajrami” Elementary School in village Kamjan, Mr. Idriz Ismaili, thanked the students that, despite their engagement in studies, allocate time to pay attention to the educational activities. According to him, only in this way can be established sound foundations in the education of future generations. 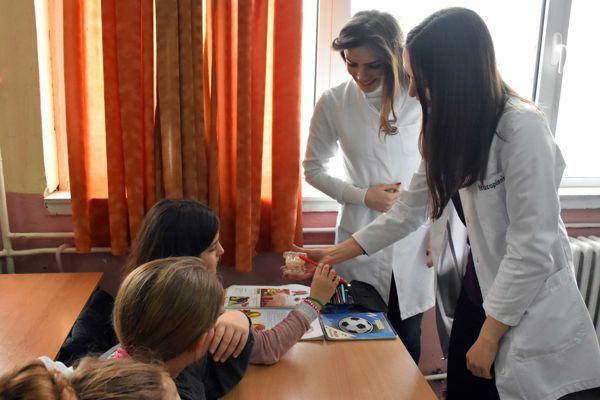 Students shared flyers with information on oral health and were donated brushes and toothpastes, gifts provided by the supporters of this campaign, the dental clinic “Apolloni” – Tetovo and Colgate.